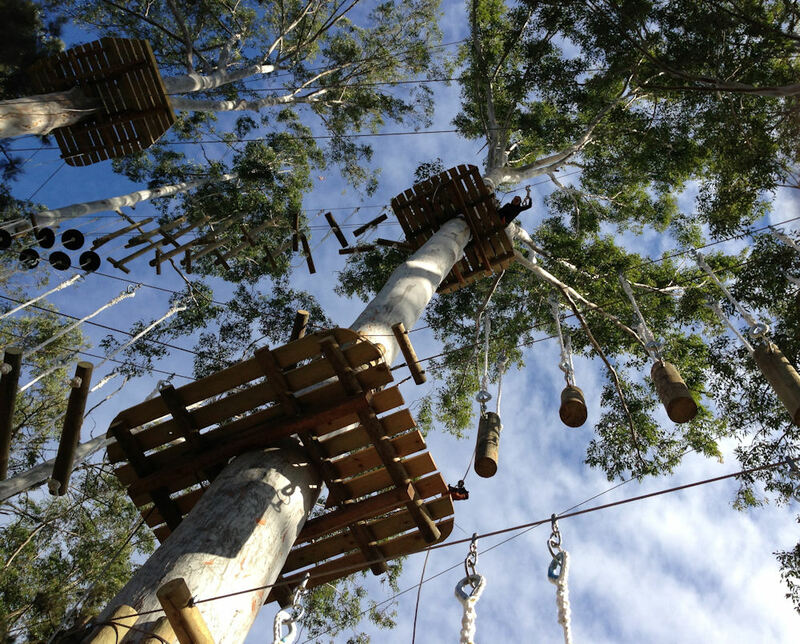 Soar through the treetops at the foothills of The Blue Mountains on an array of flying foxes, tight ropes and tunnels! A 2 hour session climbing through the aerial challenges (including training) will have you laughing along with the kookaburras. Arrival of 30 minutes prior is important so there is time to get ready on time for some serious fun. All of the treetop platforms are built on more than 70 Sydney Blue Gums, which borders both sides of the river. Trees Adventure Grose River Park is located at the confluence of the Nepean and Grose River in Yarramundi.